These two princesses want to try some fantasy hairstyles. 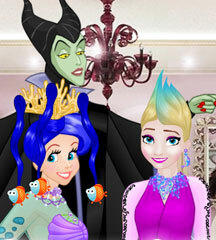 If you want to give them a wonderful new look, join the two royal girls in one of the most magical hair games. 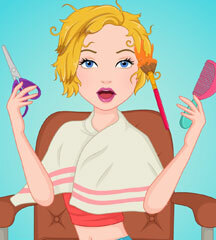 You can create some stunning hairdos and pick beautiful hair colors. Add accessories like flowers or butterflies to complete the hairstyles. You can also play dress up with the girls. They have some amazing fashion items in their closets and they can't decide what to wear. 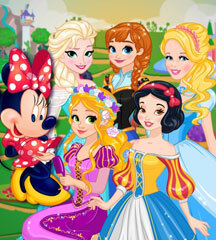 Pick some fairy tale outfits for the two divas and they will be very happy. Have fun with them!